Powerful earthquakes shook Indonesia on September 28, triggering a tsunami that killed over 1,500 and injured thousands. Medical assistance is urgently needed. Project HOPE's team of doctors and nurses is operating a clinic in Dolo and supporting local responders. We're also at work in 25 countries around the world, helping people overcome diseases and live healthy lives, responding to crises, and empowering health care workers with the training and tools they need to save more lives. When disasters like these strike, it’s the generosity of people like you that helps us respond. Please make a gift today to help us respond to crises and continue our lifesaving work around the world. 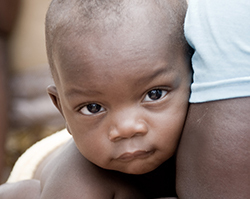 Your gift today multiplies 5 times in impact to save the lives of children and families. Please, send help now. Powerful earthquakes and a tsunami struck Indonesia Friday, killing over 1,200 people and injuring hundreds more. Our medical team is on the ground in hard-hit Palu, assessing needs and supporting local responders. Please make a lifesaving gift to help power our Indonesia response and our work around the world.